Does your child have a score to settle with Superman? Then he'd better get geared up like Bruce Wayne! 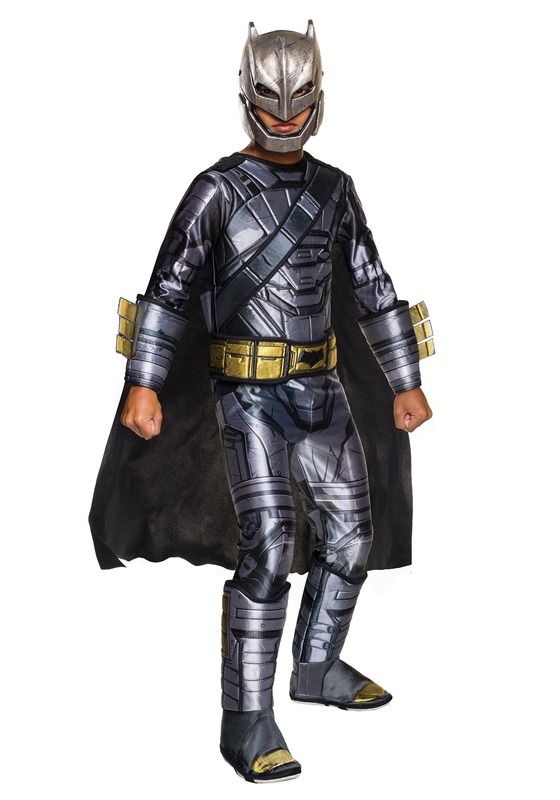 This Deluxe Armored Batman Costume is designed after the battle armor worn by Batman in the Dawn of Justice movie, so your kid will look ready to battle against any super powered threat! Whether that means Superman, Doomsday or Lex Luthor. The printed designs recreate the look of everything from the movie, from the metal armor to his signature utility belt, making it a realistic looking outfit. Of course, you might need to train him in a few superhero moves before he heads out to take on the baddies!